There’s always at least one prop I need to make when I throw a party to make it feel more authentic. For the Treasure Island party (all the details coming soon!) I chose to make two things- a wooden real candle chandelier and the signage. 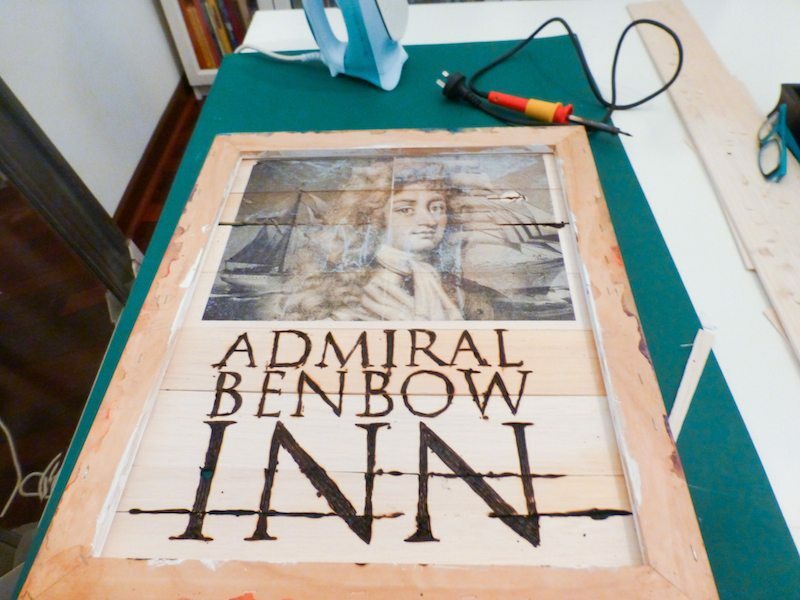 So here’s how to make the Treasure Island Admiral Benbow Inn signage. 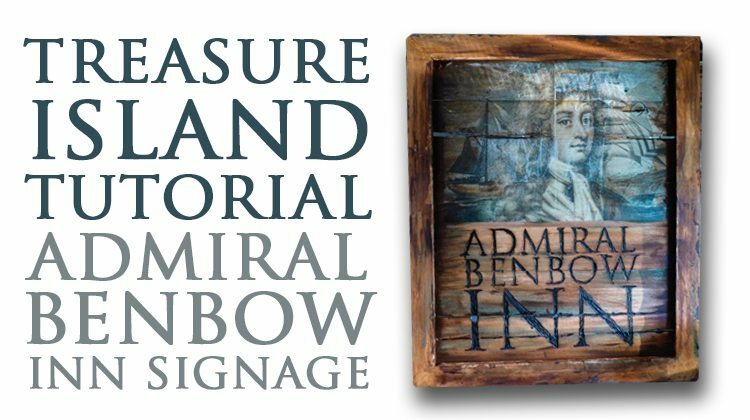 The original image of Admiral Benbow from The National Maritime Museum- the original image I worked from is available on wikipedia. 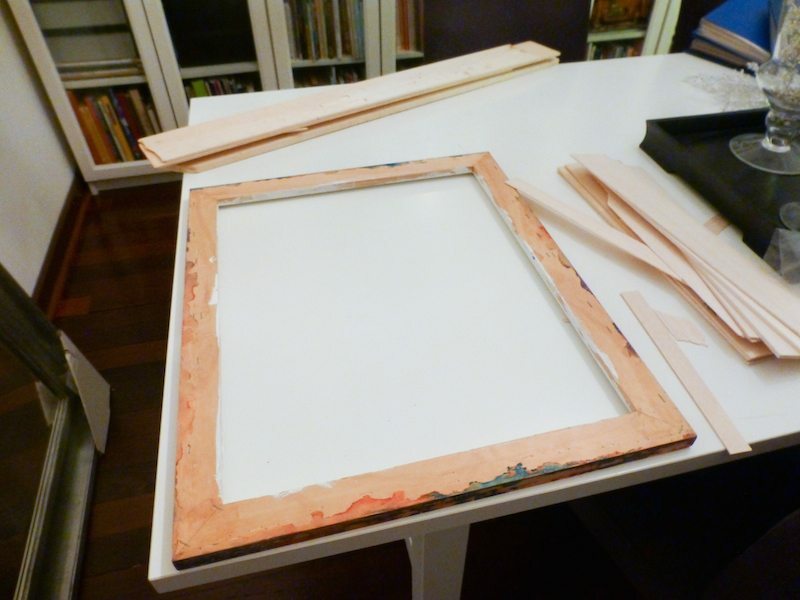 Start by cutting your balsa wood to size to fit your frame. You want them long enough to be attached to the back of one side of the frame. Glue them down with wood glue and let dry overnight. 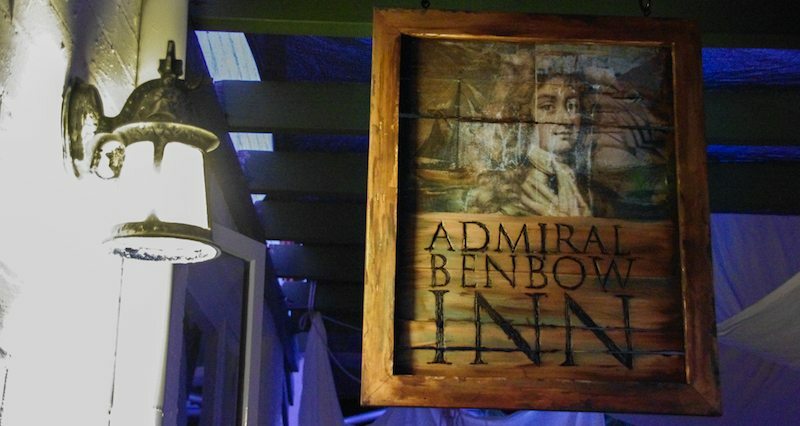 Print your Admiral Benbow image out on two A4 pieces of iron on transfer paper. Cut so the image will sit together (no overlap or edging). 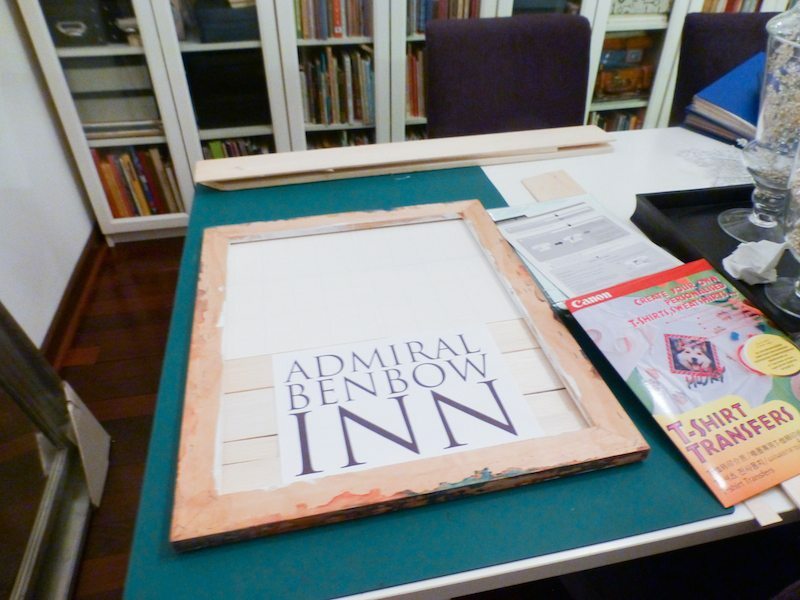 Layout on the balsa wood with the text, to make sure you have placement right. 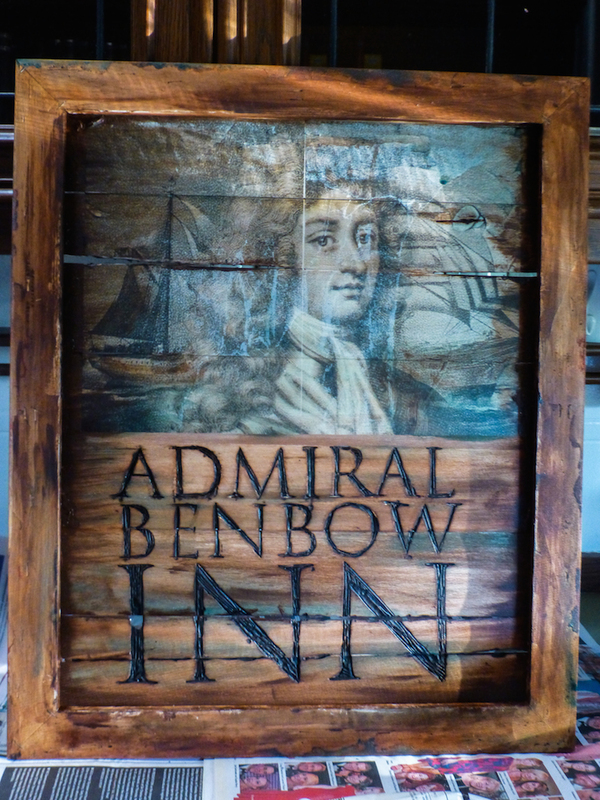 Iron on the image onto the wood. Take your text, lightly tape into place with masking tape. 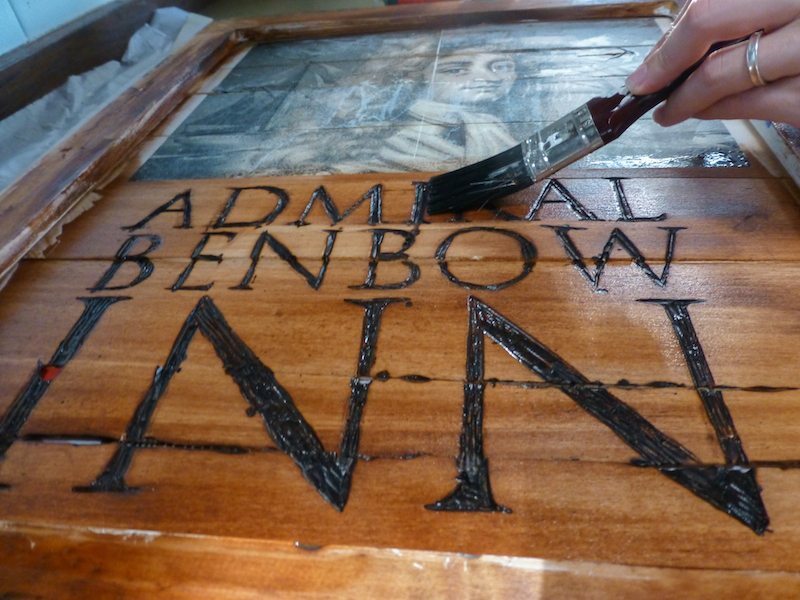 Take a pin and punch out the outline into the wood. 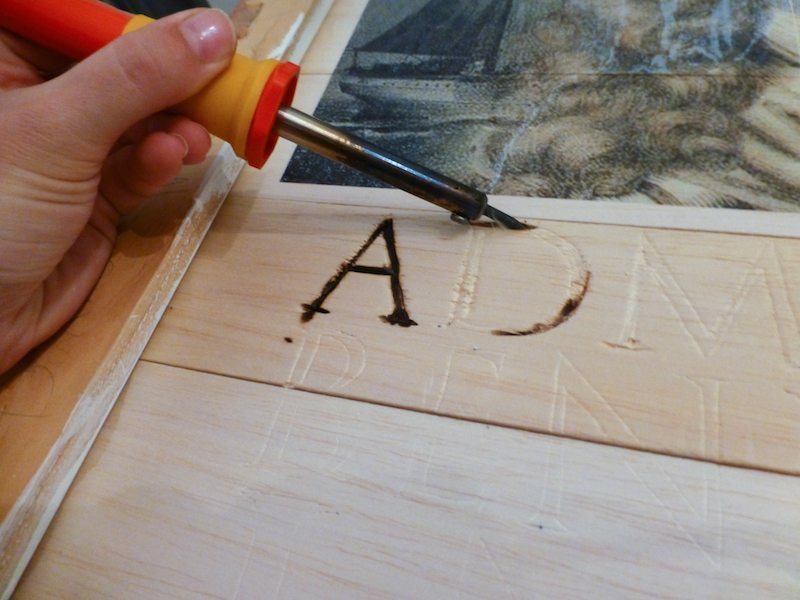 Use the soldering iron to burn the text into the wood, following the pin lines. 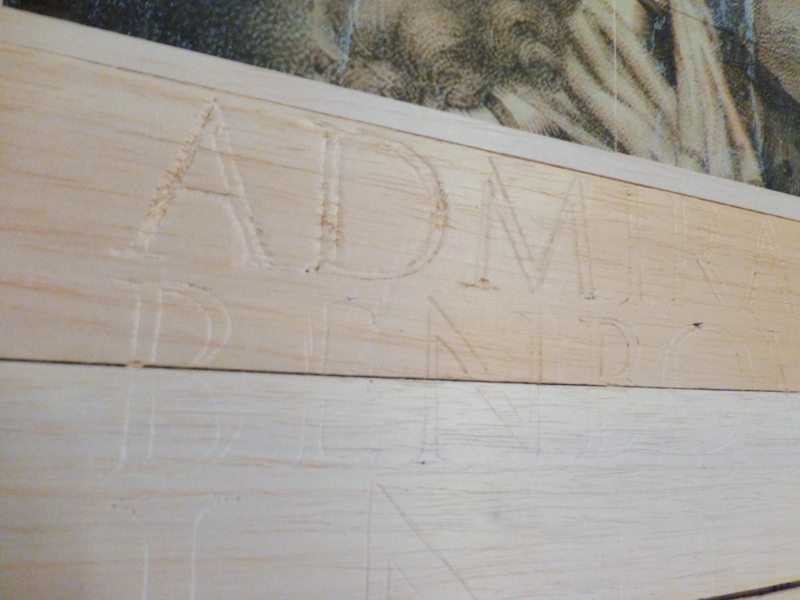 To make the wood look slightly weathered, you can burn sections of the wood so you can see through slightly. Mix together in a small plastic container (old mini yogurt buckets work well for this) some water and the Burnt Umber acrylic paint to create a ‘wash’. You don’t want it to go on thick like paint, rather just colour the wood but keep the texture showing through. 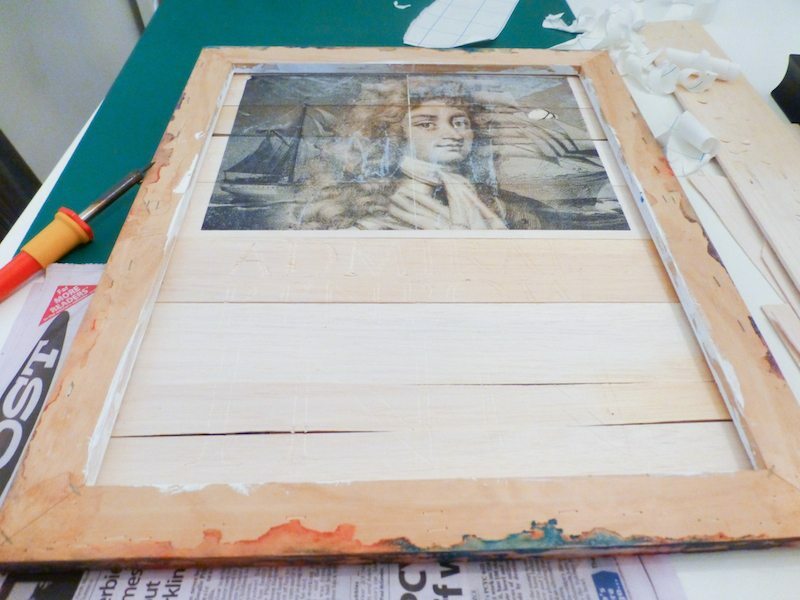 Paint the frame and the balsa wood, but paint around the image. Try to paint in the same direction as the wood. If you’re going to be hanging it up where people will be able to see both sides, make sure you do this wash for the back as well. Take a little bit of the turquoise acrylic paint and slightly water it down. Just streak just a few areas of the wood. With a dry flat tipped artist paintbrush, dab just a bit of the Burnt Umber on, and streak across the wood in the direction of the wood to create more texture. 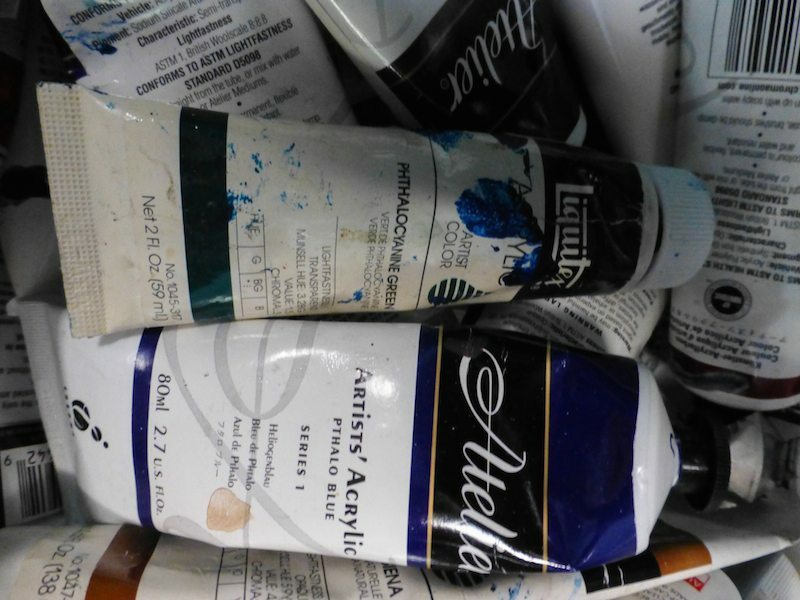 You can also take some of the turquoise and the burnt umber (not completely watered down but not thick either) to the image area. Perhaps adding a hint of the turquoise to the ocean and sails, and the burnt umber to the ships in the image. Screw in two hooks to the top (or use the photo frame hooks on the back if there) and use rope to hang. Hats off – what a brilliant idea for an inspiring project. Thanks for sharing! Awesome idea! The end product looks pretty cool too.. What’s the model and brand name of the soldering iron you used?